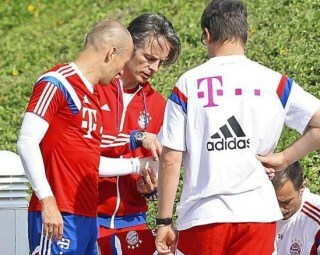 Man United target Arjen Robben bitten by CROCODILE at Bayern Munich training camp. Yes, you read that correctly. 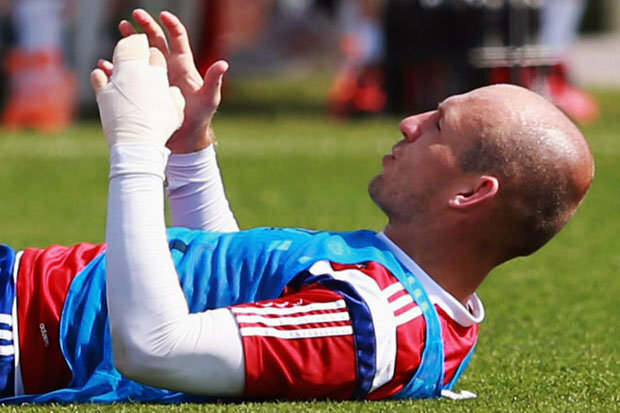 Arjen Robben has been bitten by a crocodile in Qatar. The Bayern Munich star, 30, is used to throwing himself to the ground when he’s barely been touched. Except this time, he may just have a point. Robben has claimed he was bitten by a crocodile while fishing a ball from a lake on Bayern’s winter training camp in Qatar. According to German newspaper Bild, that’s the reason why Robben is now wearing a bandage round his “heavily bruised thumb, middle and ring fingers”. Other reports claim the injury was picked up during a weights session – but we know which ones we’d rather believe. Over the years the Dutchman has been accused of plenty of dramatic dives and simulation, so it would have been interesting to see his reaction after being bitten by a croc, right ? The former Chelsea star has been linked with a stunning switch to Manchester United this summer. Louis van Gaal is a huge fan of the Dutch star, whose contract runs out in June 2017. This entry was posted in Arjen Robben, fifa, football. Tags: Arjen Robben, FIFA, football.